The Mobile World Congress is now over for another year with the event being concluded yesterday. However, news about awards from the event still need to be reported on and one such award is the "Best Mobile Handset, Device or Tablet Award". The prestigious award, decided by a panel of top judges, was given to Nokia's Pureview 808 smartphone. 3G tend to agree with the decision because the Lumia Pureview 808 was the most innovative and unique mobile at the event in our eyes. The Nokia Pureview 808 has an amazing 41 mega-pixel camera which enables you to capture perfect shots which can edited, zoomed, cropped and edited later. You can also record perfect video with amazing sound thanks to Nokia Rich Recording Technology. Nokia teased us earlier in the week with a video promoting "Nokia Pureview" which will offer "Pure Detail and Pure Definition" and have now unveiled the first Pureview smartphone at MWC 2012. 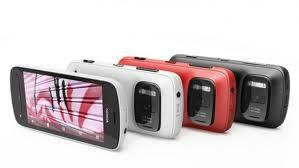 Nokia have delivered on their promises with the Nokia Pureview 808, which has an amazing 41 mega-pixel camera. Nokia have branded the 808 as a "new revolution in smartphone imaging" and we find it hard to argue with them. When using the camera at standard resolutions (2/3, 5 and 8 mega-pixels) you can take images with zoom enabled without losing pixel clarity. The camera will take shots with 7 pixels and combine them into one for amazing clarity, while also ensuring the file-size is kept down. When using the camera at full resolution (38 mega-pixels) you can take a picture then zoom, re-frame, crop or re-size afterwards to expose previously unseen detail. The camera which comes with a Carl Zeiss optics lens and a Xenon flash, enabling users to take studio quality pictures on their smartphone.